Why would I need self storage in Oxnard, CA? There are a variety of reasons why you might need self-storage in Oxnard, CA. How much is a storage unit in Oxnard, CA? The cheapest storage unit in Oxnard, CA is $53.00 per month. What size storage units do you have available in Oxnard, CA? In Oxnard, CA we have sizes that range from 3'x4' to 10'x30' to suit your storage needs. How much is it for a 3'x4' storage unit in Oxnard, CA? The cheapest 3'x4' storage unit in Oxnard, CA is $81.00 per month. Located in Southern California's Ventura County, Oxnard is about 60 miles northwest of Los Angeles. Incorporated in 1903, Oxnard has long been a major agricultural center, specializing in strawberries, lima beans and orchards. In more recent years, the city's economy has diversified, with a fairly equal balance between the industries of defense, manufacturing, international trade, tourism and agriculture. Oxnard's scenic location makes it a popular resort and vacation destination, and the city also offers quick access to the Los Angeles metro area and the rest of Southern California. The city may be best known for its annual Strawberry Festival, a nod to its famously sweet strawberries. Visitors come from all over the area to enjoy a number of creative strawberry-based treats, including strawberry beer and strawberry pizza. Oxnard and Ventura County are home to many small and large businesses in the health care, education and agricultural sectors. Fruit and vegetable grower Boskovich Farms and manufacturer Haas Automation are two of Oxnard's largest employers, while Los Robles Regional Medical Center, Simi Valley Hospital and St. John's Regional Medical Center follow closely. Oxnard College, California State University, Moorpark College and Ventura County Office of Education also provide thousands of academic jobs in the area. In Oxnard, a diversified economy has resulted in a wide range of jobs, including both white- and blue-collar positions. If you're planning to jump into the job market in Oxnard, the area's fastest growing industries include professional and business services, hospitality and construction. Oxnard Shores is one of Oxnard's oceanfront neighborhoods, with many of the homes enjoying ocean views. Oxnard Beach Park is a local community park located just steps away from the beach, and it provides children's playgrounds, volleyball courts and jogging trails. 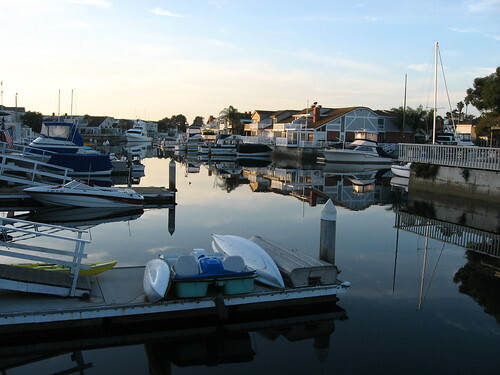 Another scenic Oxnard community, Channel Islands is home to Channel Islands Harbor. The recreational harbor is one of the largest of its kind in California, and it is a popular location for boating, fishing and whale watching. La Colonia is one of the oldest neighborhoods in Oxnard, and it originated as a community for local workers in the city's sugar factory and beet fields. The area has undergone recent revitalization efforts while it still stays true to its deep Hispanic roots. Heritage Square is Oxnard's designated historic district and has several restored Victorian homes that once housed the city's early pioneers. Today, it hosts a variety of community events, including the annual Summer Concert Series. Two main districts, the Oxnard School District and Oxnard Union High School District, serve the public schools. If you'd prefer to send your child to private school, there are both parochial and secular options. Utilities: Southern California Edison is Oxnard's main electricity supplier, while the city manages water and sewer services. Garbage and Recycling: You'll receive three separate cans for curbside collection and disposal of trash, recyclables and yard waste. Transportation: There are several public transit options in and around Oxnard, and several routes provide easy access to nearby Los Angeles and Santa Barbara. The median home value in Oxnard is considerably higher than the U.S. average but quite a bit lower than the average in California. If you're searching for the most affordable homes in Oxnard, you'll find a variety of options on the city's south side. Our lowest priced units in Oxnard, CA average $69.33 per month. 185 people have reserved units in Oxnard, CA in the past 30 days. There are 3 locations within Oxnard, CA's city limits. There is 1 location in Oxnard, CA that offers AC and Heating features.